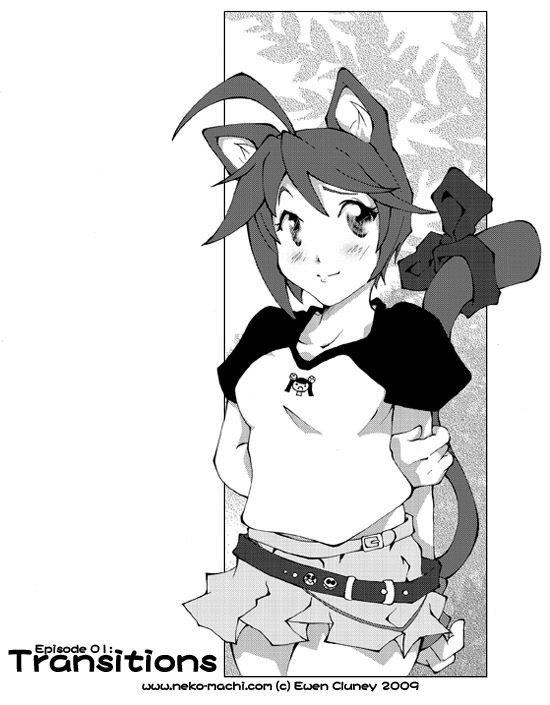 So here we are with the second incarnation of Neko Machi. I could write a whole giant essay on the whole thing and how I feel about it. C. Ellis (a.k.a. Piggy) mentioned that she was interested in finding someone to do a comic with, and I’d been looking to find an artist to continue the comic. I’m really glad we got to do a project together–she’s a great friend and an amazing artist–but I also really wish I could’ve been a better writer and generally come up with something more worthy of her talents. In any case, I started off with the same first chapter that Kingsley had attempted to do, and in hindsight I really should’ve rewritten it a bit first, but… yeah. One of the big changes I made was to have Kitty become kind of an airhead. She’s still based on me, but I like to think I generally have it together except for when I’m feeling tired and loopy. The big issue with doing a silly comic based on real people is that real people tend to be quite a bit more well-rounded than comic characters. (And with my friends at least that’s only gotten more true with time.) That worked for Kitty, though some of the other characters still weren’t as distinct as I’d have liked. I had noticed that I have a bad habit of putting an ellipsis in the third panel entirely too often, so this was me trying to make fun of myself for that and avoid doing it so much in the future. I asked Kingsley to write a strip about Kim and D.D. buying art supplies and this is what he wrote. Colerase is the real deal by the way. What was actually near campus was the Mini Gourmet, a local 24-hour diner that was decidedly better than Denny’s, though still cheap and greasy American food. 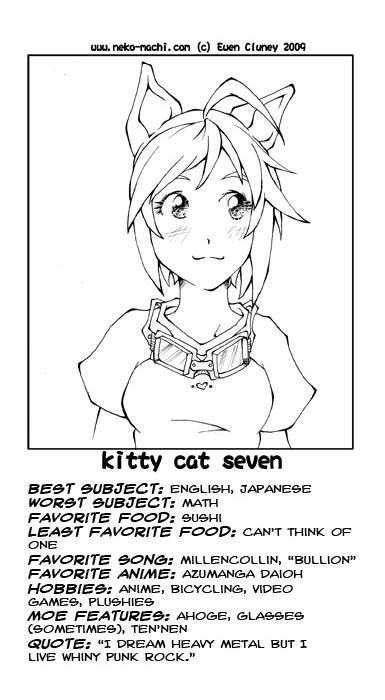 Where the old Neko Machi was incredibly haphazard with formatting, this time around I had planned everything out to follow the format of 4-koma manga, with an eye towards being ready to put it in print. We never did more than mini-comics of such, but it did look really nice that way. 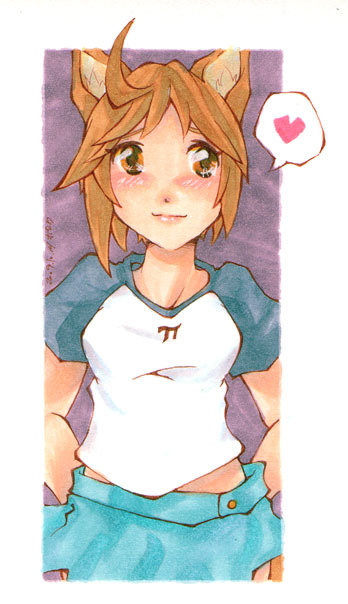 When I first set up the new Neko Machi site with ComicPress, I posted up the pi comic as a placeholder, hence when Piggy did a drawing of Kitty (showing her fantastic skills coloring with Copic markers) she stuck in the pi symbol.